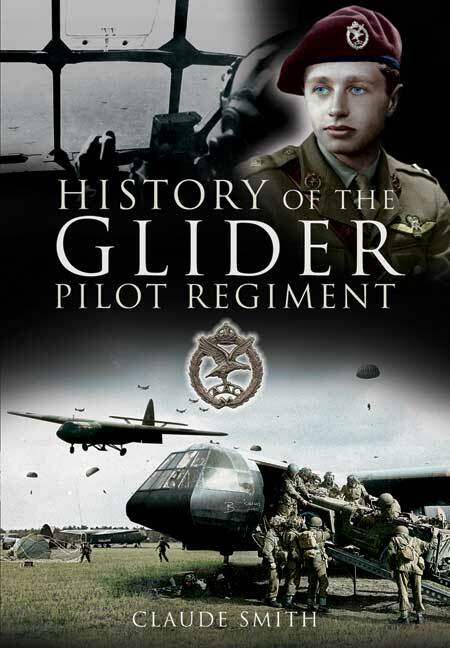 You'll be £4.99 closer to your next £10.00 credit when you purchase History of the Glider Pilot Regiment. What's this? The Glider Pilot Regiment, having been raised as the first element of the new Army Air Corps in 1942 and disbanded in 1957, can probably claim the dubious distinction of having been the smallest and shortest-lived Regiment ever to form part of the British Army. Nevertheless, in those few years the Regiment gained as much distinction as it has taken other units hundreds of years to achieve. Yet, strangely enough, the story of these heroic men who piloted their flimsy gliders to most of the important battlefields of the Second World War has never before been told. It is indeed a remarkable story and no one is better qualified to tell it than Claude Smith, who himself served with the Regiment and took part in the invasion of Normandy on D-Day, 6 June 1944, and later in the ill-fated landing at Arnhem, where he was taken prisoner. Claude Smith tells the story of these supremely brave men, factually and unemotionally, but it is impossible to read this book without being moved by their heroism. As General Sir John Hackett says in his foreword: 'Those who went to battle in gliders and above all those who got them there, the Glider Pilots, deserve our enduring esteem'. An excellent account of this most unique of Regiments by one of its former members. Despite a seemingly small number of pages, the book contains a great wealth of detail which follows the evolution of the glider element of the British Airborne Forces from its early experimental days to its peak in 1944/45, and then the post-war years where the increasingly obsolete concept was ultimately disbanded. Smith remains focused solely upon the Regiment's activities and does not wander off, as others have done, into the familiar and well-worn story of the wider events of the time, and though he does not dwell too much on the individual recollections of glider pilots, what he presents is a thorough account of the operations in which they were involved, including some which are not widely known even amongst experts in the field.